Canon has been accused of lacking innovation in recent years, partly due to the slow and uninspired development of its EF-M mirrorless system. The brand also made the somewhat controversial decision to keep the best video specifications for its Cinema camcorders series after revolutionising the filmmaking industry with the 5D mark II. The 5D mark IV was a good step in the right direction but it didn’t suppress calls for a serious mirrorless offering from the brand. That time has now come with the introduction of the EOS R, Canon’s first full-frame mirrorless camera which also inaugurates a brand new mount. Removing the flipping mirror inside the body gave Canon the opportunity to play with the design and incorporate new kinds of technology. The first advantage is the size: the EOS R is significantly smaller than the 5D IV as you can see from the specifications below. The body is slimmer and around 230g lighter too. Removing the mirror affects the viewfinder too. The light coming through the lens can no longer be reflected into the optical viewfinder, so instead the EOS R uses an electronic version that shows a live view feed coming directly from the sensor. The EVF has a magnification of 0.76x, a resolution of 3.69 million dots and an eyepoint of 23mm. The 5D mark IV OVF has a magnification of 0.71x and a 21mm eyepoint. The advantage of the OVF in the DSLR camera is that you can see the scene as your eyes see it, and with zero lag. The EVF on the other hand can give you a preview of what your image looks like with the selected picture profile, as well as real-time exposure. It is possible to see an electronic live view on the rear screen of both cameras. On the 5D you need to activate the Live View function which flips the mirror and allows the light to reach the sensor directly. The lack of a mirror allows for a shorter flange distance between the sensor and the lens mount, which is why the EOS R has a new RF mount. It keeps the same diameter of 54mm but the flange distance is much shorter (20mm versus 44mm for the EF mount). The number of pins (electronic contacts) is also different: the RF mount has 12 whereas the EF mount has 8. The RF system, being brand new, has a limited number of native lenses but it is off to a good start. In addition to the classic 35mm f/1.8 and the all-rounder 24-105mm f/4 zoom, there is a 50mm f/1.2 and 28-75mm f/2. The latter is a world’s first. The 5D mark IV can rely on a vast selection of EF DSLR lenses. Not only is there a lot of choice within the Canon range itself, but you can also buy many third-party products from Sigma and Tamron, so there is no lens you won’t find. The EOS R will provide the option of adapting EF lenses via three new adapters: a normal one, a second one with a customisable function ring and a third one with a drop-in filter slot. These adapters will keep all automation including exposure and autofocus. The EOS R and the 5D IV feature Dual Pixel CMOS AF, a technology where the phase detection autofocus points are embedded onto the sensor directly. 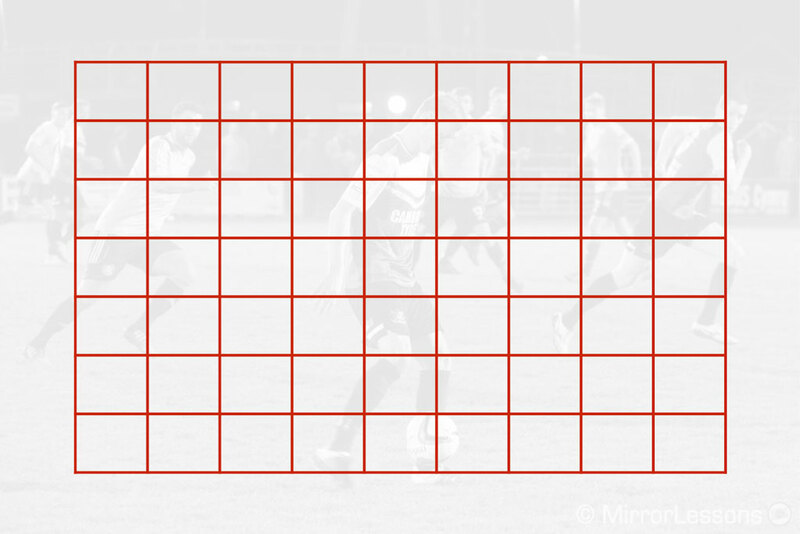 However in the case of the DSLR camera, it is not the main autofocus sensor used for stills. 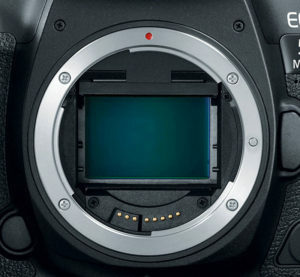 Like all DSLRs, the 5D has a separate AF sensor found at the bottom of the camera. The light coming through the lens gets reflected by the mirror to the AF sensor. 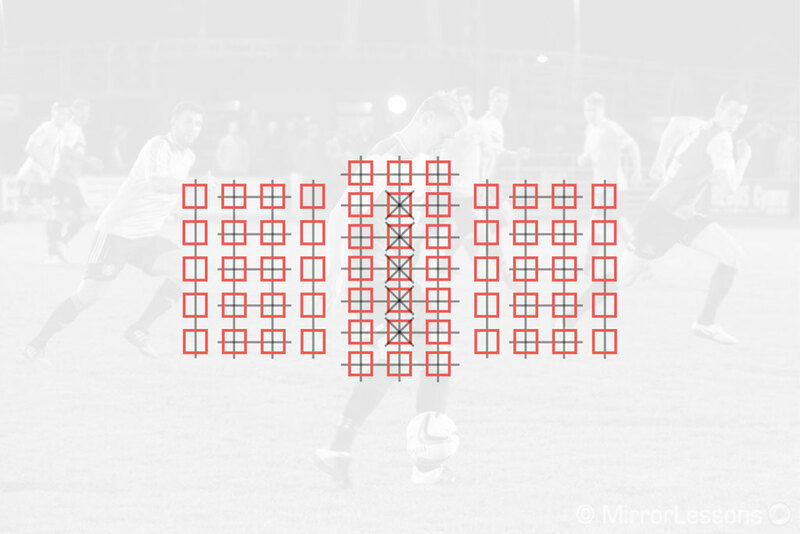 In this case it features 61 points with 5 dual cross-type and 40 cross-type points. The minimum sensitivity is -3Ev for one central AF point at f2.8, -2Ev for four central points at f5.6, and -1eV or -0.5Ev for the other peripheral points at f/8. 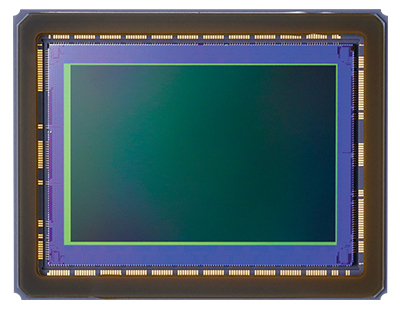 To use the Dual Pixel CMOS AF on the 5D, you need to activate Live View. With this setting the mirror stays flipped up and the light can hit the sensor directly. Live View can be used for stills but is mostly useful for video shooting. There are 63 phase points on the sensor with a minimum sensitivity of -4Ev. The EOS R takes the Dual Pixel CMOS AF technology to a new level by introducing no fewer than 5,565 points which is an insane number by today’s standards. The minimum sensitivity is -6Ev with an f1.2 lens. The EOS R can shoot at a maximum continuous shooting speed of 8fps. However if you want continuous AF, the speed drops down to 5fps, or 3fps with C-AF and focus priority. The 5D mark IV does better with a maximum of 7fps with continuous autofocus. As for the buffer, the EOS R can fire off around 100 frames in JPG format or 47 in RAW format on a UHS-II card. The 5D camera does 110 frames with JPG or 21 with RAW on a CF card. 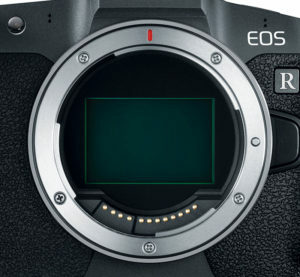 The two cameras share the same resolution (30.3MP effective pixels on the EOS R, 30.4MP on the 5D IV) but the sensor on EOS R is an updated version. They both have an optical low pass filter but the camera uses a different image processor. 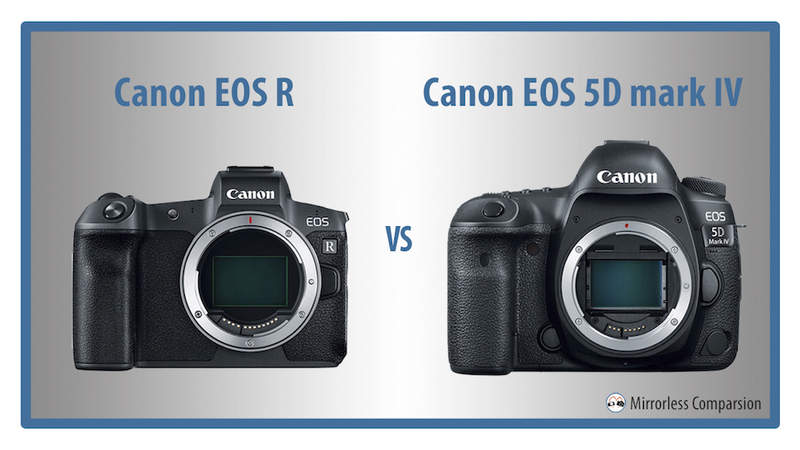 The R model has the latest Digic 8 whereas the 5D IV has the older Digic 6+. The ISO sensitivity is slightly different. The EOS R goes from 100 to 40000 with extended values down to ISO 50 and up to ISO 102400. 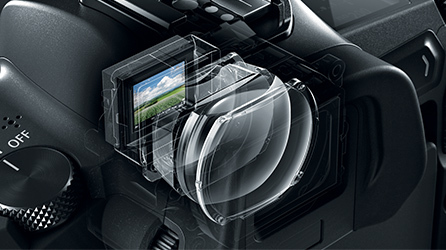 The 5D IV goes up to 32000 with the normal range and shares the same extended values. The 5D mark IV has a fixed rear LCD screen that is 3.2 inches in size and has a resolution of 1.62M dots. The rear monitor of the EOS R is a multi-angle type with a resolution of 2.1M dots. It is ever so slightly smaller at 3.15 inches. More important, it is touch sensitive and allows you to perform a number of actions such as moving the focus point. Both cameras feature 4K video recording up to 30fps with high bitrates. The EOS R does Ultra HD (3840×2160) and allows you to choose between IPB and All- Intra compression, with the latter going up to 480Mbps. The 5D mark IV uses Motion JPGs and records in the Cinema 4K format (4096×2160) at 500Mbps. Surprisingly, there is no Ultra HD (4K 16:9) option. Both cameras apply a heavy 1.74x crop to the sensor when recording in 4K. In 1080p both cameras go up to 60fps, or 120fps in 720p. The EOS R can record clean 10-bit 4:2:2 video via the HDMI output, whereas the 5D IV only outputs 1080p in 4:2:2 8-bit. There is a special version of the 5D mark IV that includes the Canon Log profile and it costs an extra $100. The EOS R has it included as a standard profile. The EOS R comes with one SD card slot with UHS-II compatibility. The 5D mark IV has one Compact Flash slot (UMDA Mode / supported) and one SD card slot (UHS-I). 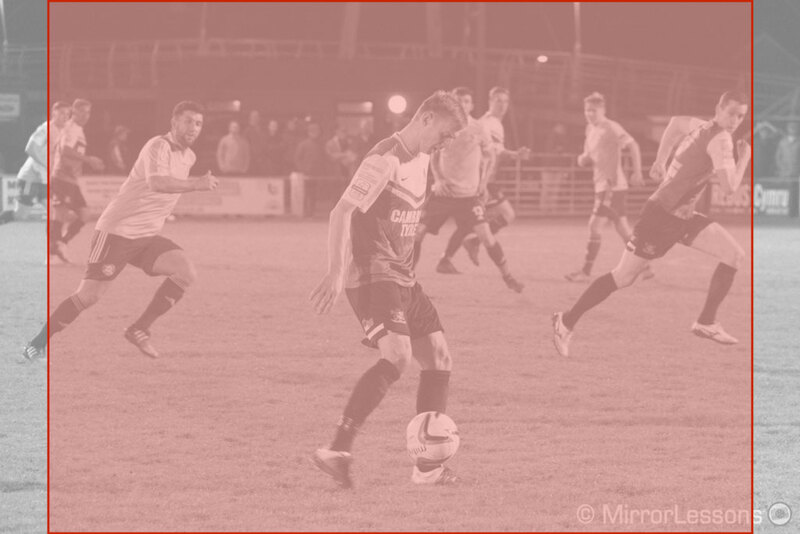 There is often a big difference between mirrorless and DSLR cameras when it comes to battery life because the constant live view feed in the EVF or LCD monitor drains more power than using an optical viewfinder. The EOS R has a battery life of 370 frames or 540 with the Eco mode. 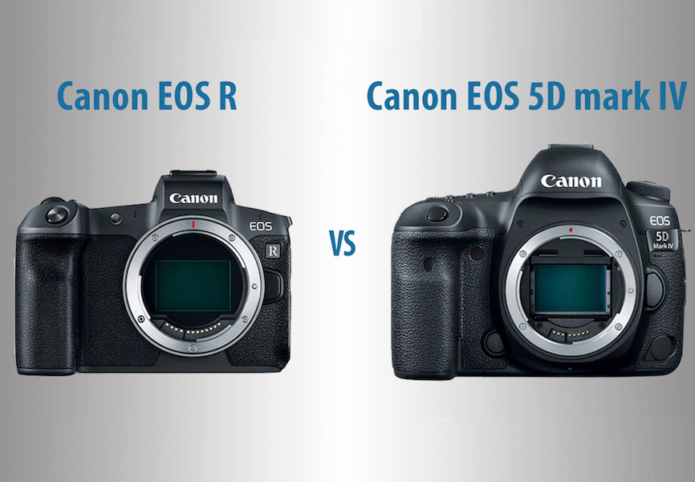 The 5D IV has a rating of 900 images by comparison. These ratings are based on CIPA standards which are often (if not always) lower than what you can get in real life, but they give you an idea of the differences between the two cameras. 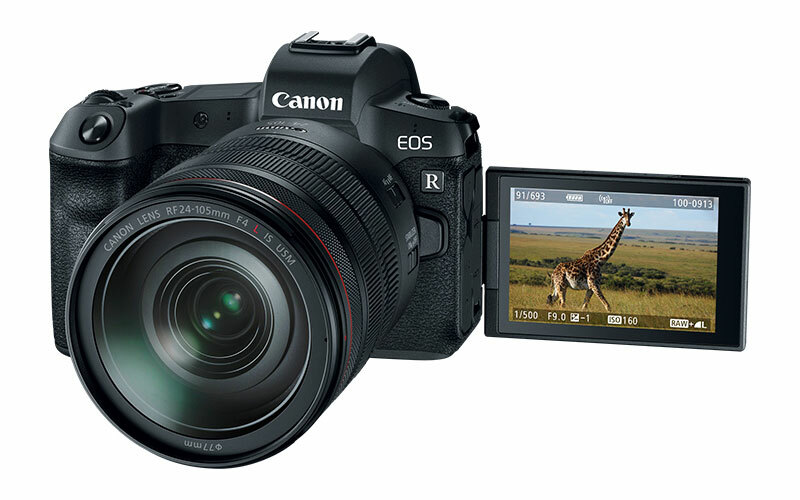 The EOS R launched at the retail price of $2300 / £2350 / €2730 . The 5D mark IV is more expensive, priced at around $3100 / £3250 / €3350. The new EOS R is a valid first step, offering more serious competition to the Sony A7 series while giving its own customers the possibility to integrate a more advanced mirrorless camera into their arsenal. Or put another way, it’s the brand’s first serious attempt to discourage its users from switching from DSLRs to other mirrorless brands (Sony in particular). The question is: will this first step be enough? The EOS R doesn’t really offer anything new that we haven’t already seen on other mirrorless cameras, except for the impressive number of AF points and the world’s fastest AF, both of which need to be thoroughly tested before drawing any conclusions. For now the advantages over the 5D mark IV are the same that come up in any mirrorless versus DSLR debate: the EVF’s real time preview of your exposure, the possibility of silent shooting (e-shutter), the higher number of autofocus points with more sensitivity, and of course the smaller body size. Don’t get me wrong, these points can all be enough, especially for the many users who want to remain faithful to the brand. Another thing we’ll want to see is whether Canon can develop a unique set of lenses for the new RF mount in order to further differentiate the system from others on the market. I’ll admit, that 28-75mm f/2 certainly sounds like a very good start!